Homeland Security degree programs prepare students to assess potential terrorist dangers. Programs typically attract people looking to work in disaster preparedness. Traditional certificate, bachelor and master level courses are available in addition to many top online Homeland Security degree programs. Master programs focus on critical thinking abilities and some allow students to select occupational specialties including management and natural disasters. Sample courses include psychological and sociological aspects of disaster and terrorism, technology for homeland security, technology in contemporary society and information systems in organizations. Graduates typically acquire positions within the Federal Bureau of Investigations (FBI) or other government agencies, airports and private sector companies. When researching schools that offer Homeland Security Degree Programs it is important to find one that best suits your needs, whether you will be studying in a traditional classroom setting or via an online program. Following is a description of five of the top schools offering various Homeland Security Degree Programs. University of Connecticut collaborated with the Postgraduate Naval School (PNS) to offer a Master of Professional Studies in Homeland Security Leadership (MPSHSL). The part-time, online program caters to students currently employed within law enforcement and/or the military. Core courses include organizational behavior and contemporary issues in homeland security. Applicants must have a 3.0 grade point average (GPA) and submit a 10-page writing sample. Approximate tuition for the two-year program is $24,000 and students may apply for scholarships in conjunction with veteran’s tuition assistance programs. California University of Pennsylvania offers certificate, bachelor and master level studies. Bachelor and Master Students pursue justice and legal studies with a focus on homeland security. Courses range from terrorism, threat and vulnerability analysis and protection to law and public policies. Master level studies require a 3.0 undergraduate GPA. Tuition rates range from $995 for certificate studies to $644 per credit for out-of-state masters students. Financial aid consists of scholarships, loans and work-study. Homeland Security Management Institute features online masters and advanced certificate programs. Masters applicants must have a 3.0 GPA and submit letters of recommendation. Courses include constitutional issues in homeland security management and homeland security and the private sector. Tuition rates are approximately $1,028 per credit for master and certificate studies. Financial aid options include scholarships, federal and state assistance. Virginia Commonwealth University combines homeland security and emergency preparedness studies to offer certificate through graduate level Homeland Security Degree Programs. 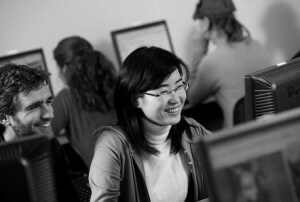 Core courses include international relations, the intelligence community and the intelligence process and U.S. government. Graduate students must submit graduate record examination (GRE) or similar scores and letters of recommendation. Tuition fees range from $3,930 per semester for resident undergraduate students to $9,797 for out-of-state graduate students. Financial aid consists of loans, grants, scholarships and work-study opportunities. American Military University also admits civilians to its online bachelor and master programs. Students take introduction to law enforcement, emergency planning and compliance managers. Bachelor studies require a high school diploma while graduate applicants must present proof of a bachelor degree. Total costs for the four-year bachelor degree are approximately $30,250. Costs for the two-year masters program are approximately $11,700. Financial aid includes federal grants and loans in addition to veteran’s tuition assistance. Emergency Management magazine highly recommends all previously listed programs. Slate.com indicates that homeland security studies will continue to flourish in a post- 9/11 United States. Homeland Security degree programs instruct individuals on how to protect America from unseen dangers. Stephenson blogs on Internet of Things, data, et al.